Ken Berlin has worked in the field of public education for 25 years. Mr. Berlin has been a Principal in both the Wattsburg and Iroquois School Districts in various positions at the elementary, middle, and high school level. 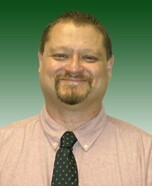 Ken also served as the Assistant Director of Educational Programs for the Northwestern Tri-County Intermediate Unit. Mr. Berlin holds a Bachelor's Degree in Music Education and a Master's Degree in Education from Edinboro University. In addition, he earned his Superintendent Licensure from Gannon University. Ken taught as an Adjunct Professor in Gannon University’s Graduate School of Education and now serves as an Instructor at Edinboro University in the Educational Leadership Program. 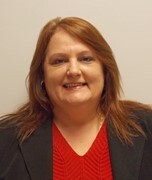 Leslee Hutchinson is the Assistant to the Superintendent for Curriculum and Instruction. She has spent over 20 years in the field of education as a teacher, instructional coach, principal, and curriculum specialist. 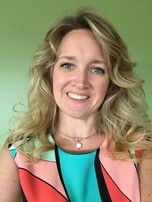 She holds a doctoral degree in Educational Leadership from the University of Pennsylvania, a masters’ degree in Special Education from Mercyhurst University, and a bachelors’ degree in elementary education from Penn State University. 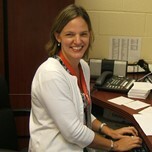 Dr. Hutchinson holds certifications in elementary and special education, mid-level English and mathematics, administration, and curriculum design. She has a true passion for the work of teaching and learning and loves sharing that passion with students, teachers, and the community. Vicki Bendig is the Business Administrator for the Wattsburg Area School District. Prior to joining our administrative team, Vicki had accumulated over 15 years in the business world with a focus on Human Resources, Payroll and Benefits and most recently had spent 6 years with Erie’s Public Schools in the business office as Payroll Manager. Vicki has a Bachelor’s Degree in Music with a concentration in Business from Grove City College and a Master’s Degree in Business Administration from Pennsylvania State University. Janet Mullaney is the Child Nutrition Director for the school district. She has been with the district since 1997. Prior to coming to Wattsburg, she worked as a Dietitian in the medical/health care field as well as a preceptor for the CCUP program in dietetics through Gannon, Mercyhurst and Edinboro Universities. She holds a Bachelor's of Science degree in Dietetics and Nutrition. She has held several board positions at the district and state level for the PA School Nutrition Association and is presently the secretary of the Pittsburgh Regional Food Service Directors Association. Currently the Food Service Department is working on a new inventory system as well as continuing to fine tune the ever-changing menus and production records to keep in pace with the new and constantly updating regulations set by the USDA. Guy is the Director of Technology Services for the Wattsburg Area School District. He has over twenty years developing and supporting IT systems in both the private sector and non-profit organizations. He holds an Associate Degree in Computer Information Systems, a Bachelor Degree in Information Technology and is currently pursuing a Graduate Degree in Business Administration with a concentration in Project Management. Guy specializes in virtualization technologies and currently holds a certificate of vmWare administration. MerriBeth is the Special Education Supervisor for the Wattsburg Area School District. 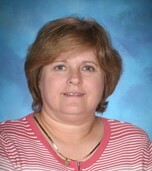 She has 25 years of experience in the field of special education. She has an undergraduate degree in teaching special education and a Master’s in Educational Psychology from Edinboro University. She is currently All but Dissertation (ABD) from the University of Pittsburgh in Curriculum and Learning, her area of specialty is special education and behavior. Since coming to Wattsburg, MerriBeth has focused on developing special education programs that meet the varied needs of the students in the district, this includes district-wide Emotional Support Programs and Life Skills Programs. Currently, MerriBeth is focused on the development of the district’s Special Education Plan, increasing parent involvement through the development of parent trainings with the IU 5 and other local school districts, and implementing the action plan from the 2014-2015 special education audit. Eric Schultz has been with the Wattsburg Area School District since October of 2005. As Plant Operations Supervisor, Mr. Schultz is responsible for the management of the maintenance and custodial services for the buildings that make up the Wattsburg Area School District. Eric also oversees the transportation department, busing nearly 1,600 students to public, private, and parochial schools throughout the Wattsburg and Erie area. In addition, he is responsible for administering the Potable water and Waste water programs for all District buildings and oversees contracted services. Prior to joining Wattsburg Area School District, Mr. Schultz was the director of facilities with the Regional Cancer Center. Additionally, he spent 13 years in the Erie Catholic Diocese as maintenance manager for Blessed Sacrament, Holy Family, Saint Ann and Saint Casmir Parishes and Schools.